Vancouver Island in British Columbia is a prime destination for kayaking adventures. Famous sea kayaking destination on Vancouver Island are Johnstone Strait, Cheen Charlotte Strait, the Gulf Islands as well as the West Coast of Vancouver Island. 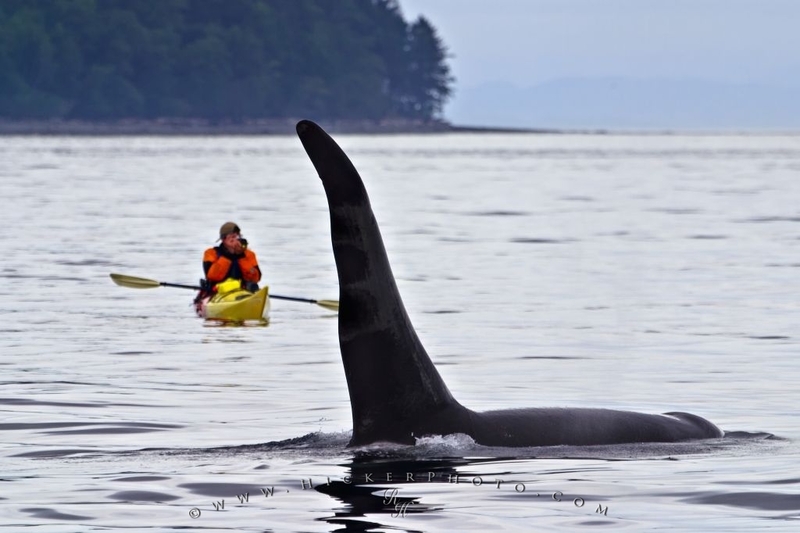 Very popular are trips where you can do some kayaking with killer whales. Most of those trips are done in Johnstone Strait off Northeast Vancouver Island. Kayaking with large male Killer Whale. Photo of a male kayaking very close to a Orca Whale in Weynton Pass (Johnstone Strait), British Columbia, Canada.